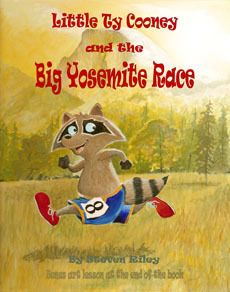 When the Yosemite animals raced. So begins Ty’s first adventure through Yosemite National Park! No one gives this little raccoon a chance of winning, but he has trained long and hard. Does he have a chance? Hardcover with dust jacket. Bonus drawing lesson. 8 ½ by 11 inches, 32 pages. 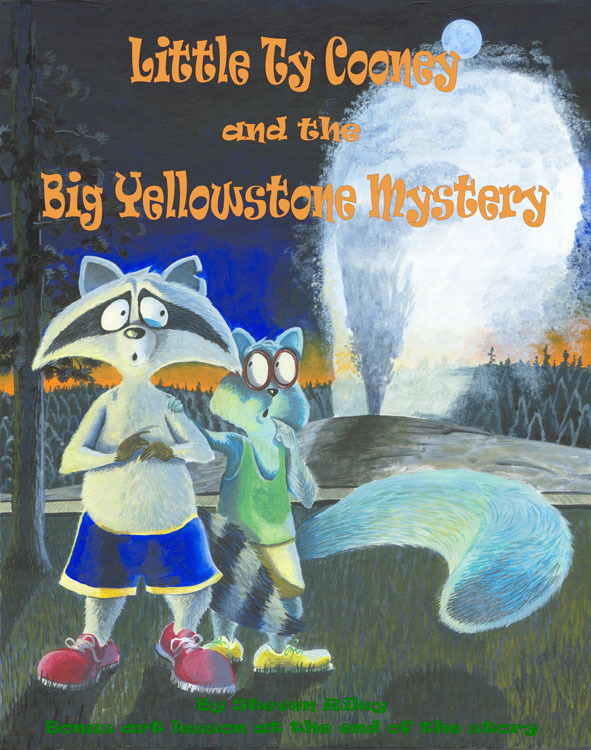 Come along with Ty Cooney and his friend Stan as they discover the beauty and mystery of Yellowstone National Park. What new friends will they make? 8 ½ by 11 inches, 48 pages. Signed – $14.95 – Buy Now! Signed, with hand-drawn illustration by Steve Riley: $17.95 – Buy Now! 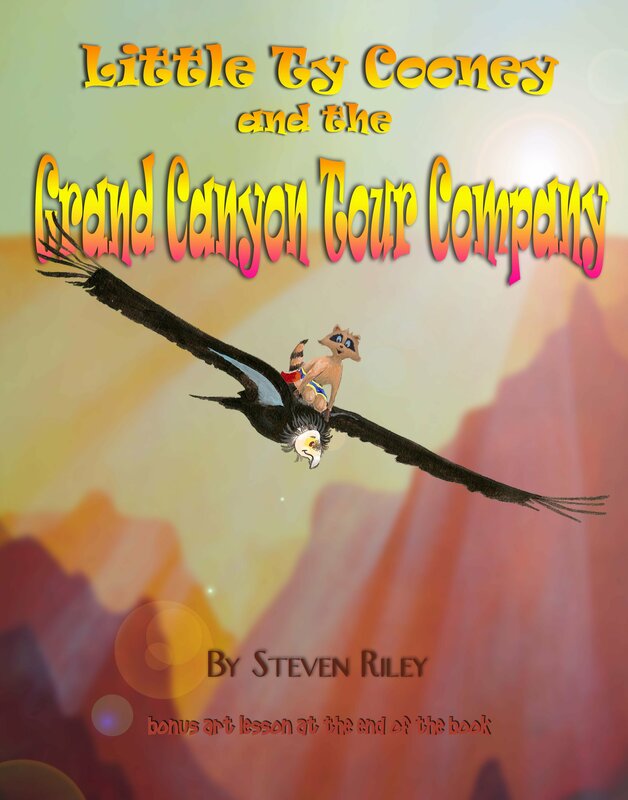 Next in the National Wonders Series, Ty visits The Grand Canyon, where he meets a giant Condor. When one of Ty’s friends gets into trouble, will Ty and the Condor be able to save him? For a limited time we are offering the Ty Cooney Plush Toy. It is 10 inches tall and perfect for any child who likes stuffed animals and has one of Ty’s books. The doll sells for $12.95 and there is a limited number – so order yours while supplies last. Contact me at steve@tycooney.com, and you can order your doll today! New Books to arrive Wednesday! 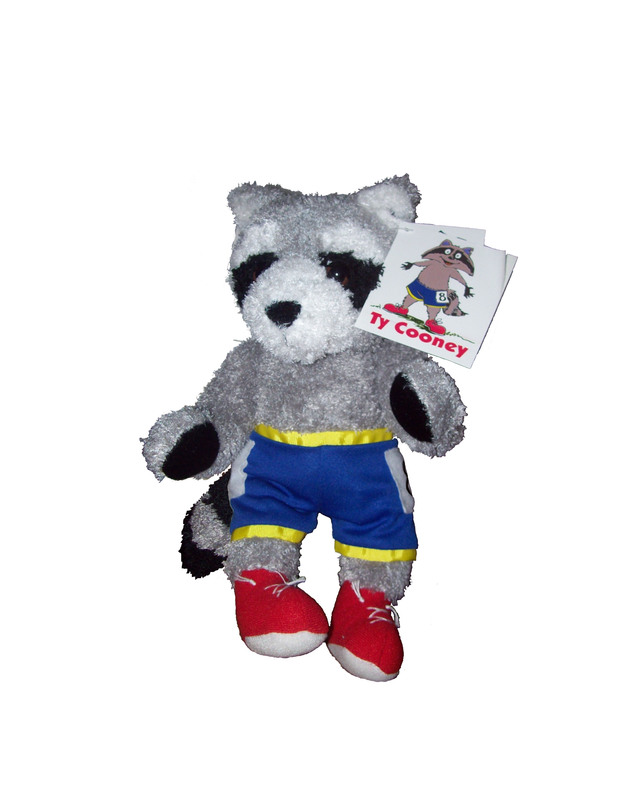 Meet TyCooney – A little raccoon who inspired the world!